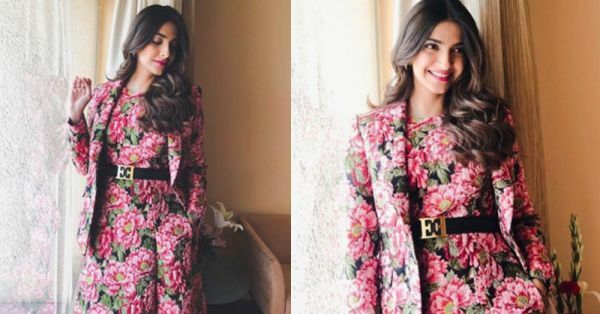 Sonam Kapoor's H2T Floral Outfit Is *Unabashedly Feminine* & We're Thinking #MeToo! When it comes to feminism and fashion, dressing 'like a girl' can, and should, be an empowering act. Although, some are of the opinion that wearing typically 'feminine' clothes, such as those in the colour pink or in a floral print, doesn't support the feminist cause. Even though floral print is seeping into men's fashion in India slowly and steadily, it's still stereotyped as typically 'girly', and anti-feminist, for some reason. Weird, huh? Well, Sonam Kapoor just straightened that out with her caption for this lovely picture. 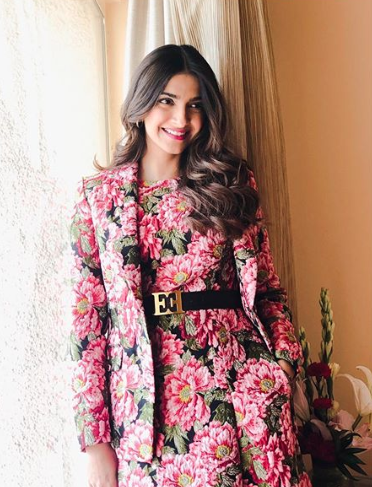 Sonam's outfit was, in fact, beautiful. The Bollywood diva wore a dark floral dress, belted at the waist with a chunky black piece. 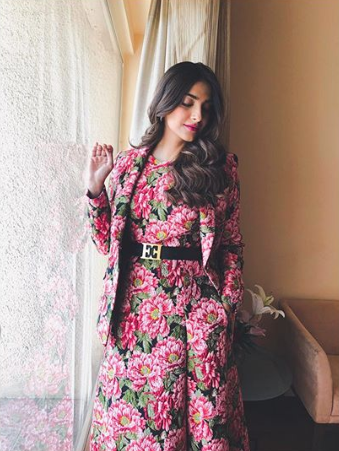 Sonam layered the dress with a matching co-ord jacket - the perfect co-ord for Autumn, isn't it? She also added black pumps and small gold hoops to her floral outfit - plain, simple, just what her print-on-print look needed. Well, done, team Sonam Kapoor! 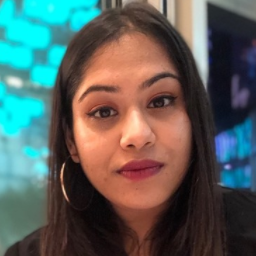 With #MeToo finally taking over India, it's crucial that we empower women around us, and encourage them to wear what they please, and do what they please. In our opinion, wearing 'feminine' colours or prints is the most feminist you can get. Do it, own it. And if someone passes unwarranted comments, you can politely tell them to 'shut the eff up'.